We call on lawmakers to end our reliance on incarceration, reduce the need for such a crippling corrections budget and improve public safety. 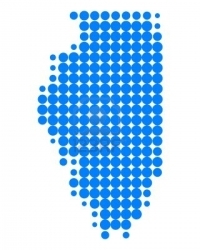 We support Illinois prison closures and support efforts to swiftly reduce Illinois' record-high prison population. Illinois must instead invest in prison alternatives, community-based services and support for people after incarceration. From commitment to action! Please oppose bills that increase incarceration and support bills that help people stay out of prison. √ CHECK. WE DID THIS! But we will continue to update you on this bill! Tell your legislators to oppose HB2265/SB1003 which would increase the mandatory minimum for weapon-related offenses. Do not let legislators pretend to address the problem of gun violence by sweeping more young people in prison. HB2265/SB1003 would spike the prison population by 4000 and cost $974 million in just ten years, for no public safety gain. HB2265/SB1003 will spike the prison population by nearly 4,000 in the next decade, for no public safety gain. This alone will require $974 million more in prison funding. These are catastrophic costs. Do not let legislators pretend to address the problem of gun violence by sweeping more young people in prison. Instead, we must invest in proven methods of violence prevention. Mandatory minimums destroy lives, cost millions and do not improve public safety! The same neighborhoods most impacted by gun violence are also devastated by mass incarceration. The proposed law will make things worse for communities already decimated by poverty, foreclosures, poor schools and drug addiction. We can’t incarcerate ourselves into safety. We can only make our communities safer by investing in jobs, drug treatment, schools, physical and mental health, and providing wrap-around programs and support both for victims of crime, and people returning for prisons.